Not too long ago, she ran into some shifter issues with her 5 spd manual Battle Beetle and gave it to me to mend. 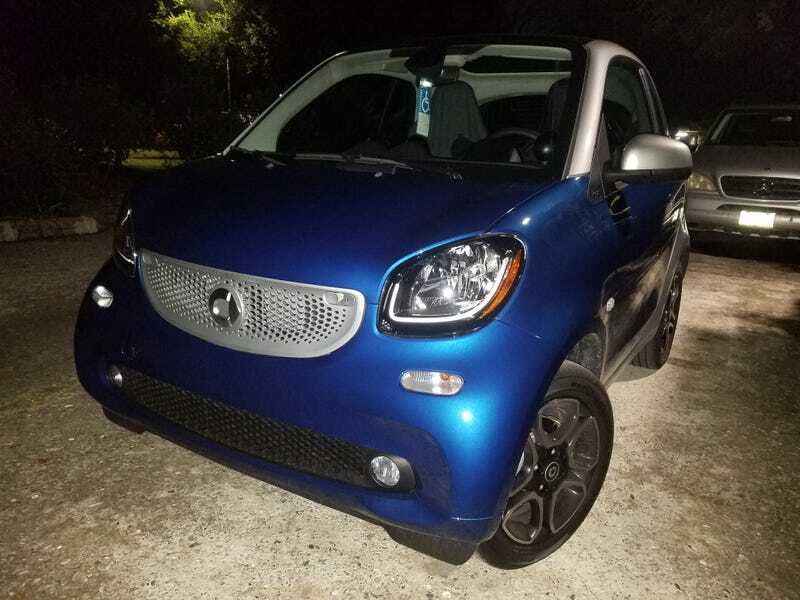 Soon after, she purchased a 2007 Smart ForTwo (no SR20) for me to the go full Wheeler Dealers on. She sold it last week and now owns a brand new Smart. As of now, she has this new Smart and her older Honda Shadow 600cc I believe. I must try harder to reach her level of radness. Bonus: when I took the first photo, for some reason my phone did a blast session of photos by itself. I one of those super quick bursts, I captured this strange light.